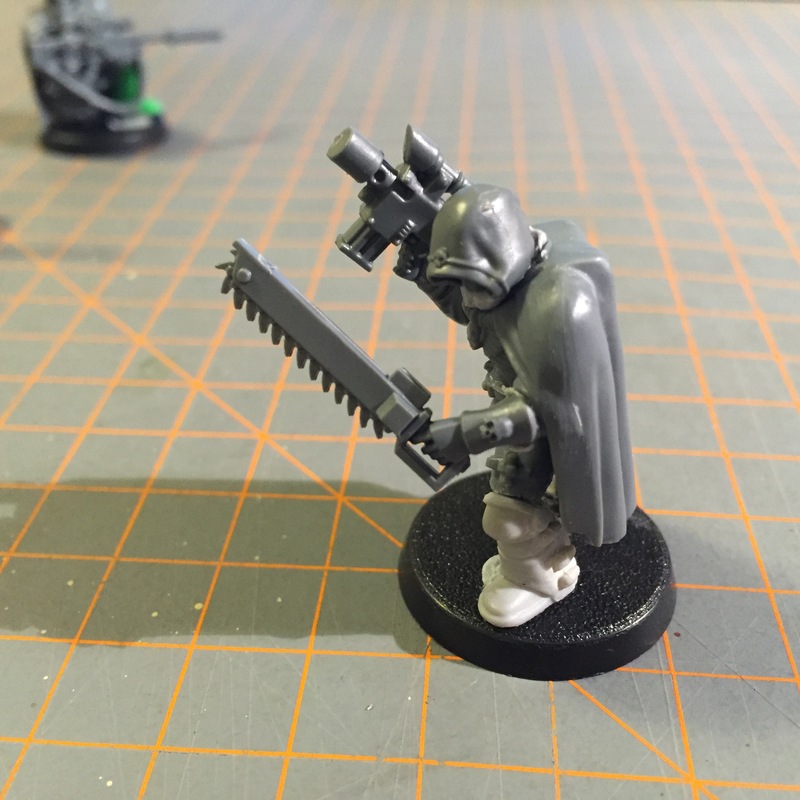 Whilst awaiting parts, the conversions continue – this time my test model for hooded pathfinders and a more tactical sniper; slipping into a snapshot pose as he moves up with the assault squad. The latter, not a great photo; but aiming to show progress as the project keeps growing. 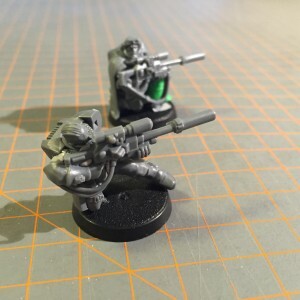 The “pathfinders” will be a selection of stealthy individuals ranging ahead of the force, using chameleoline capes and a couple of tricks picked up off the Tyranids; more about that to be revealed soon. Next up, the completed tactical scout squad, the lynch pin for my scout forces. And perhaps a sneak peek at my campaign.. I am really digging the stealthy assault scout, excuser me, Pathfinder! The sniper’s pose is another great idea. Like he is bracing against a stone. Adding that cowl to the cloak is a great idea, I may have to steal that for a true-scale scout. Really liking the armoured greaves as well. Just noticed on the art you use as background, in the lower left,just left of the main blog column and facing off against the genestealer is a scout sergeant/officer with fairly elaborate heraldry on his shoulder pad. Are you planning to do something similar on your scout sergeant?